Now that she’s landed her own show on NBC, YouTuber Lilly Singh’s star is shining brighter than ever. Even before becoming the first woman of colour to host a late night talk show on a major U.S. network, ‘Superwoman’ has been making a lot of money online. The Canadian social media phenom is worth an estimated $16 million. She amassed much of that fortune through YouTube, where she has over 14 million subscribers. Advertisements and subscriptions are the keys to make money posting videos on YouTube. YouTube says how much content creators get paid depends on factors like ad format mix, number of ads served, seasonality, and the overall market. Jason Falls, a digital strategist and thought leader in the social media space, used some tools of the trade to get an estimate of how much Lilly Singh makes through YouTube. He estimates she pulls in approximately $65,000 per sponsored YouTube post. “At 14 million subscribers and tens of millions of views on many of her videos, Lilly Singh is probably making upwards of $1-2 million from YouTube alone. Not just from the advertising revenue her channel derives from the sheer eyeballs she attracts, but she may also be selling sponsored posts or product placement to brands,” Falls told Yahoo Finance Canada. Singh also has a huge following on Instagram, Facebook, and Twitter. Falls estimates she makes $20,000 for a sponsored Instagram post and $15,000 for Facebook and Twitter. So how many YouTube subscribers does one need to start making big bucks? Falls says it’s not a simple numbers game. Falls says sponsored posts alone won’t be enough to live on even if you have 20,000 followers. He says someone with 40,000 followers who plays their cards right can make $40,000 a year, but 15,000 might be enough to pay the rent. Mark W. Schaefer, speaker and author of KNOWN: Building and Unleashing Your Personal Brand in the Digital Age, agrees that Singh’s success isn’t all about her numbers. “It's a function of creating exceptional, entertaining content that people want to see every day. 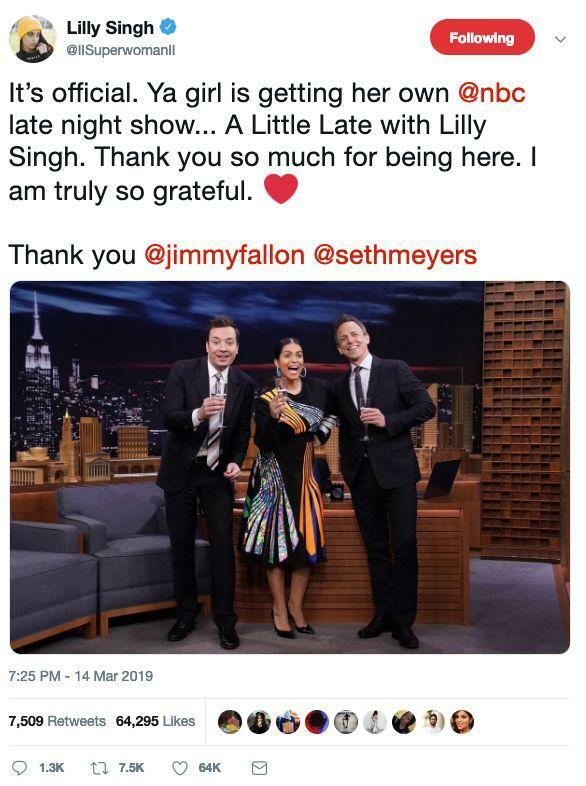 The only way Lilly Singh made it to the top and stayed there was to be consistently interesting and earning that audience every day.” Schaefer told Yahoo Finance Canada. Jason Falls says great and unique content, like Singh’s, is the first rule of gaining followers. But there are other things you can do to get a following. “Do partnerships or arrange for guest appearances on other YouTuber's shows. Work out partnerships with other channels in your niche to use your videos in exchange for you promoting them as well. Find a way to really deliver value to the first few businesses that want to partner with you. They want your audience to do something with or for them. Be creative so you can engage your audience without just blatantly selling something to them,” said Falls. Falls advises budding YouTube stars to avoid buying fake followers or views because it will eventually catch up to you. Instead he suggests holding honesty and integrity, as well as transparency, in high regard.